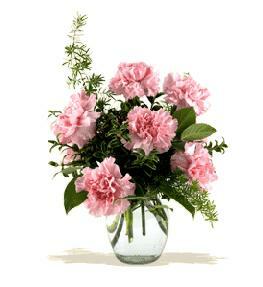 The Holiday Peace Bouquet brings beauty and grace to their holiday table with each elegant bloom. 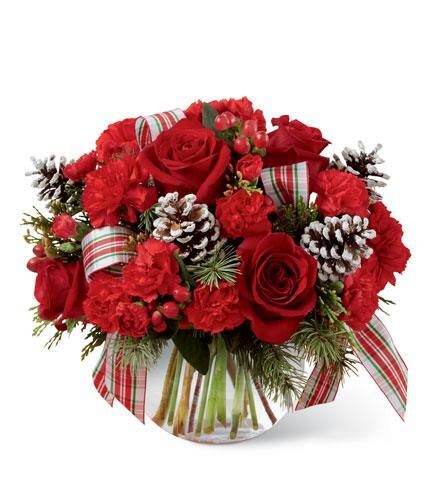 Rich red roses are a standout arranged with red carnations and mini carnations, red hypericum berries and an assortment of fragrant holiday greens. 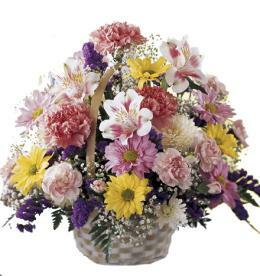 Accented with white pinecone pics and ribbon loops, this fresh flower bouquet is deliered in a clear glass bubble bowl vase to create a wonderful gift for any of the special people in your life. 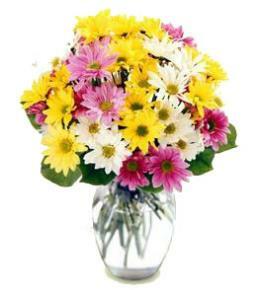 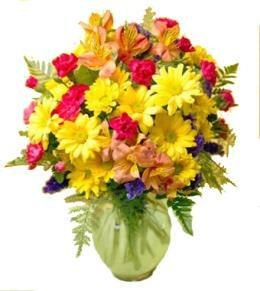 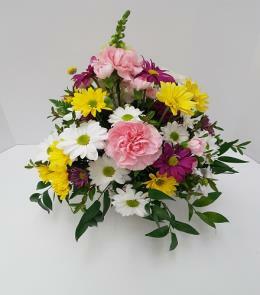 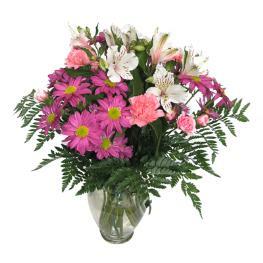 Popular Flower Arrangements - Holiday Peace B10-4962.